In February 2004, Jack Crawford and other franchisees of the Ground Round casual dining chain dialed in to a conference call with their franchisor, American Hospitality. They knew the company had undergone financial difficulties, but they weren't expecting what they heard: American Hospitality was closing its 59 company-owned stores that day. It was the Friday dinner rush, and in some cases diners were asked to leave the restaurant mid-meal. Shortly thereafter, the company filed for bankruptcy. "It was shocking. We didn't know it was going to be that drastic," Crawford recalls. The company's franchisees, who owned 72 units in 19 states, mainly in the Northeast and Midwest, were left swinging in the breeze. In many cases, their life's work was tied in with a franchise that no longer had an organization behind it. But the announcement, though shocking, did have a silver lining. Jack Crawford and other Ground Round franchisees turned loss into opportunity. "If they didn't have such an abrupt closing, someone might have had time to swoop in and buy the company. But it opened a window for the franchisees to step up and do it themselves," explains Crawford, who was voted president and CEO of the new Ground Round Independent Owners Cooperative, a title he still holds. "We paid $2 million from our own pockets and financed another $3 million. In April 2011, we made the last debt payment. Now we own the company outright and have no risk of bankruptcy and no debt." Franchise brands go belly up for many reasons: bad food or service, a bad concept (remember the peanut butter cafes? ), a stale look or an aging menu. Financial mismanagement, neglect or an ineffective growth strategy that brings on too much debt can also sink a franchise system. But not all bankrupt restaurant franchises deserve such a fate. In fact, some brands have enough mojo to revive themselves. "If a restaurant had a terrible reputation, franchisees may want to start over," says Ron Paul, president of Chicago-based Technomic, a food-industry consulting and research firm. "But if there's still equity in the brand, they might be better off sticking with it. If the brand is still strong, if there's consumer acceptance, if the unit economics are good and it has a point of differentiation, it can still work." "If a restaurant had a terrible reputation, franchisees may want to start over. But if there's still equity in the brand, they might be better off sticking with it. If the brand is still strong, if there's consumer acceptance, if the unit economics are good and it has a point of differentiation, it can still work." That's what Sizzler CEO Kerry Kramp found. The steakhouse chain filed for Chapter 11 bankruptcy protection in 1996 after competition from buffet concepts took a bite out of its market share. Sizzler tried several comebacks, but by 2008 the 54-year-old company had dropped from a peak of 650 units to fewer than 200, and its parent company put it on the auction block. That's when Kramp got his hands on the brand. "When I came onboard, we were down 8 percent in sales, we were trailing our industry peers and had no strategic plan," he says. "I thought, either we go to a full-service model, or we embrace the brand's history." Opting for the latter, Kramp brought in Dennis Scott, one of the founders of HomeTown Buffet, to play with the menu. "I consider him a food genius," Kramp says. "He went through our menu archives and found our original steak seasoning, our cheese toasts and other classics. He really embraced Sizzler's history and dove into our food." Scott also trimmed the menu by 25 percent and returned Sizzler to its roots, bringing fresh-cut meat into the kitchen and dumping the steam tables and kettles that were being used for reheating. He brought in things like measuring spoons and knives that had disappeared from the kitchen over the decades and embraced real food, made by hand. Kramp says the new menu has great taste and color, with modern updates like hot wings, Asian slaw and Greek salads, and plenty of items that hearken back to the classic Sizzler. The problem was that the new Sizzler was still physically the old Sizzler: old, dark, unpadded booths; low light; and cramped layouts. So Kramp embarked on a store redesign, introducing cushions, illuminated ceilings and bright fabrics to the décor. His efforts seem to be working. In the units that have had the makeover, same-store sales are up, and after suspending franchise operations in 2008, Kramp is now actively seeking franchisees, hoping to open five to 10 new units in the next two years. He believes Sizzler can grow by 50 stores a year in the near future, and he hopes to capitalize on the soft real-estate market and the empty fast-casual buildings that now dot shopping strips throughout the country. "It just depends on how things go," Kramp says. "I could see us with 300 or 400 stores in the next five to seven years." If he does make that goal, it will be a huge step forward for brand revival, says Technomic's Paul, noting, "I haven't seen any franchise get back to where they were before bankruptcy. It's a long shot." More often, according to Paul, franchises tend to follow the model of Ground Round. "Typically, they form a co-op, which helps franchisees with purchasing, and [they] work out an agreement on advertising dollars," he says. "They have to work on keeping the brand alive. And they have to be realistic about what they are now." In the case of Ground Round, the company is down to 25 stores. But CEO Crawford isn't worried that the system is evaporating. In fact, Ground Round has also begun a new franchising initiative, with a new footprint that can fit into sites like bowling alleys. "People see us as small, but put us up next to the big guys in casual dining, and we beat them in sales," Crawford says. "Our system average is $1.7 million. Last year 75 percent of our stores had comp sales increases … In this economy, it speaks to the power of the brand." Norman Brinker, a hospitality superstar who had given him time and advice when he was just starting out. 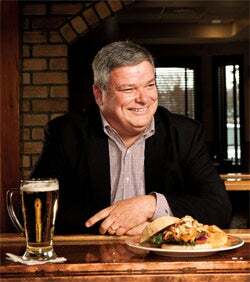 When Mangiamele, who had worked briefly for Metromedia in the mid-'90s, took over as Bennigan's president and CEO in 2011, he wanted to return the brand to its roots and make it something Brinker would recognize and be proud of. at a level few franchises ever aspire to and few ever reach." Mangiamele says consumers never abandoned Bennigan's; rather, the brand was brought down by poor financial management. Now there's a pent-up demand--when consumers see a new Bennigan's going up, workers are bombarded with people asking when they can get a Monte Cristo sandwich. "We're a tenacious brand and an exciting brand. Our testimony is we still have 80 restaurants," Mangiamele says. "We would like to double the system within five years. With deliberate growth and the right franchisees at the operations level, we're all striving to do that." Even if they never reach the numbers they had in the '80s or '90s (perhaps the reason they were overextended in the first place), many legacy brands have found that there is a customer base for their product. "The real net is that we're a brand people know all around the country, like Friday's and Applebee's," Ground Round's Crawford says. "For us, it's about finding new owners to open our stores. Our franchisee owners put their necks on the line to save this brand. Now it's nice to see that we've made it to the other side, that we're growing debt-free and people who have been loyal to the brand are coming back."